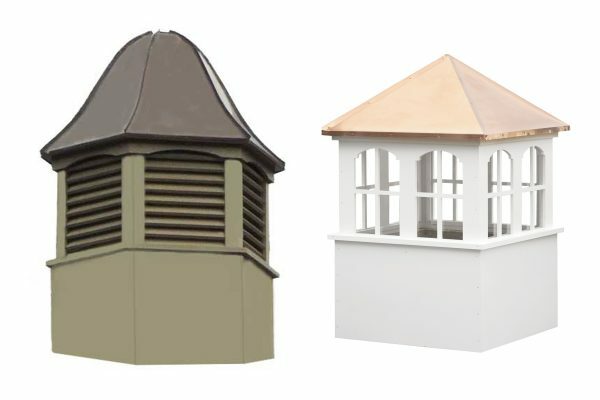 Not Sure Which Cupola Designs to Choose? Cupolas come in wood and vinyl, with a copper roof or a painted roof and with windows or louvers. 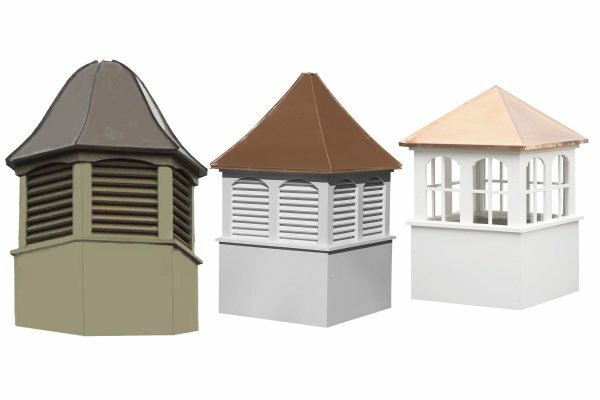 Each cupola offers a unique touch to fit in with your barn, house or shed. Some building look great with a square cupola and others with a hexagon. Some with a straight roof and others with a concave roof. 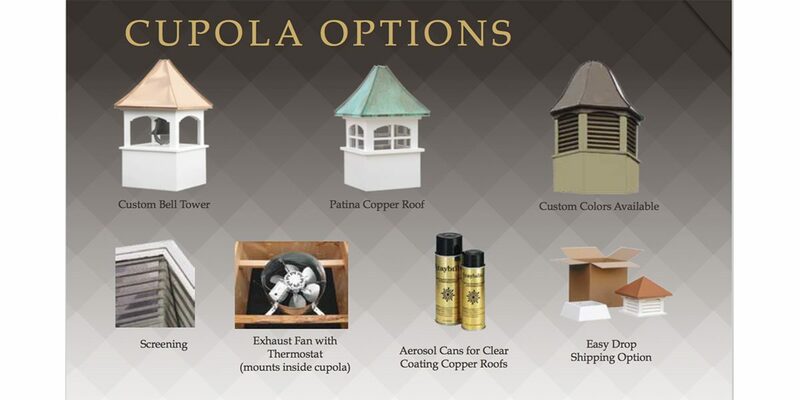 Here, you get to choose how your cupola should look. A copper roof cupola is a very popular choice when buying a cupola. But not everyone has the same taste for what their cupola should look like. 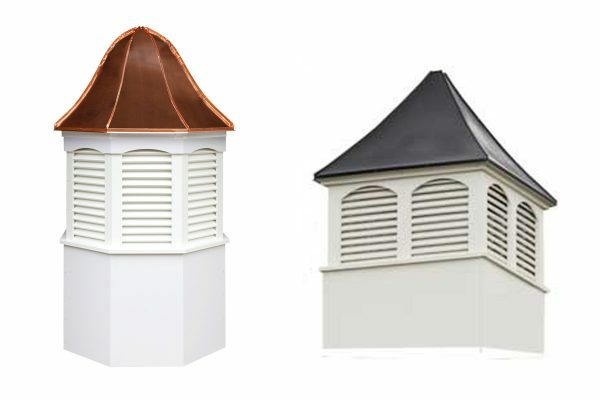 We offer our cupolas with roof color choices and even offer a patina copper roof color. We love when things are maintenance free, but we also love the old look as wood offers. You can buy your cupola wood or vinyl. Both should last a very long time! Louvered cupolas are great for getting air in and out of a building or just to give your building that special look. Window Cupolas are primarily for aesthetics. They add a finished touched to your shed, barn, garage or home. Your roof doesn’t have be straight. 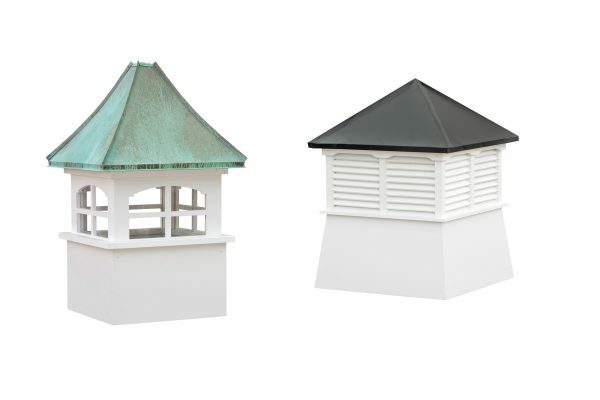 It can be concave or a bell design to add more to the design of your cupola. 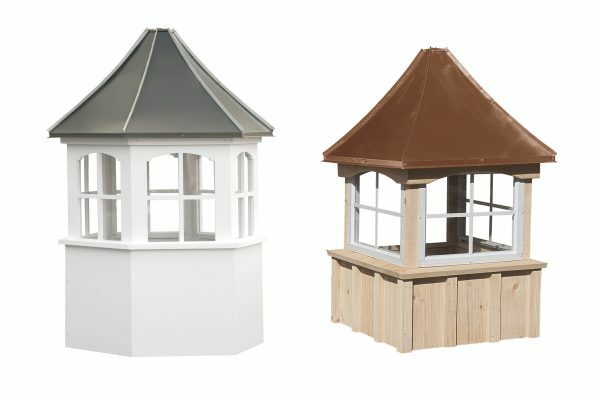 Start shopping and find the cupola that will enhance your property.